By the braces manufacturer with arguably the richest tradition in the world: Albert Thurston, since 1820. Albert Thurston has served kings, princes, presidents, film stars and businessmen since 1820. To this day the straps and trimmings are still hand stitched from indestructible yet soft bridle leather. 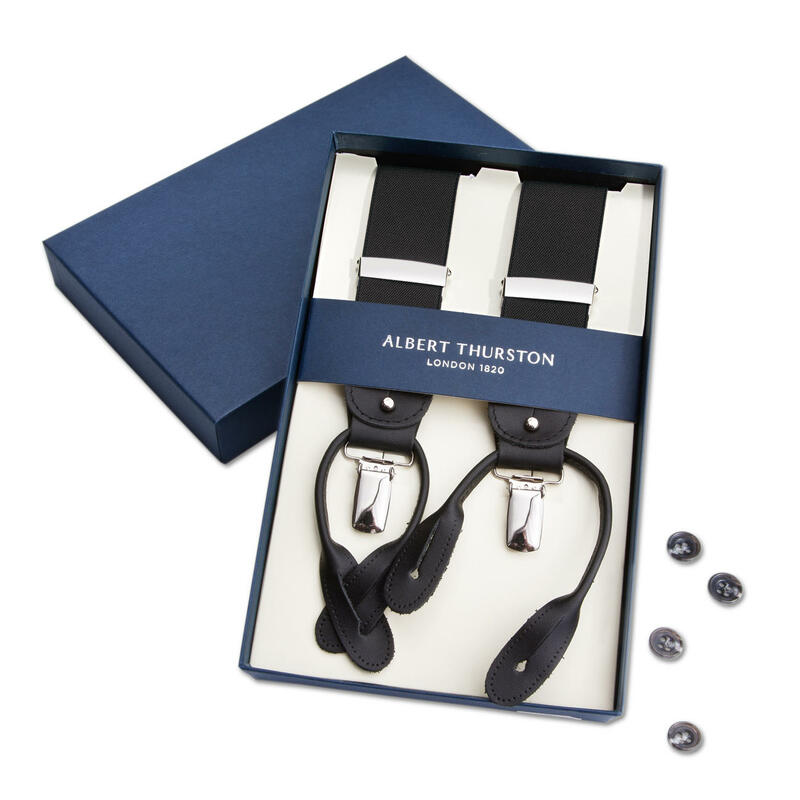 And the silver, stainless steel clips are buffed with a soft cloth to a highly polished sheen. The distinct British penchant for bright colours and loud patterns does not always jibe with international tastes. 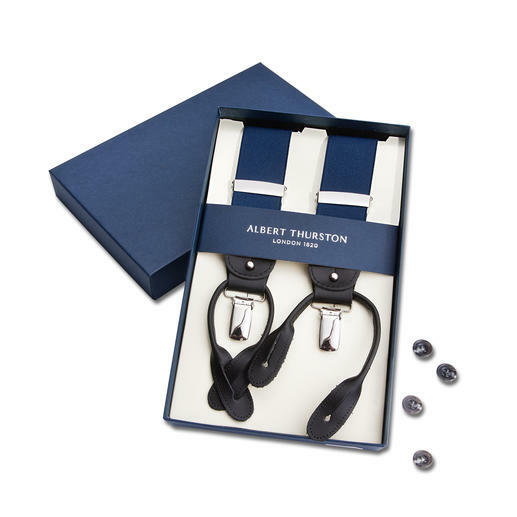 So this is the understated basic classic from Albert Thurston: It goes with virtually anything. And is so popular around the world that it has been made the same way for half a century. Adjustable elastic straps. Elastic inset at the back. 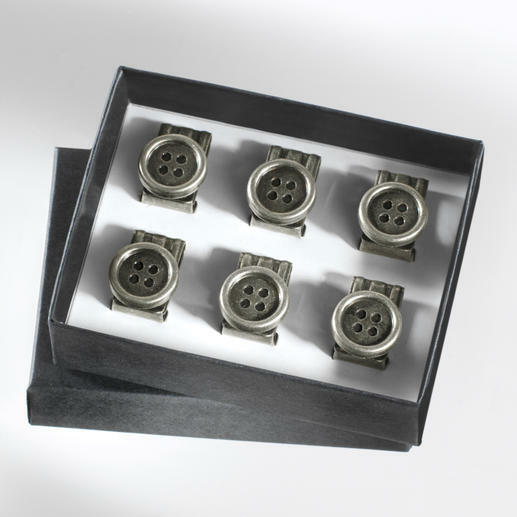 Attaches with buttons or clips. Approx. 3.5cm (1 2⁄5") wide. 79% polyester, 21% elastodiene. Contains non-textile parts of animal origin (leather straps and trimmings). Made in England. 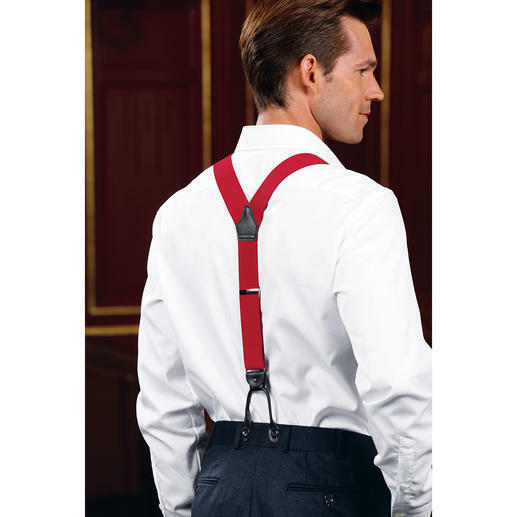 Practical button clips for your suspenders. Easy to attach to any pants.